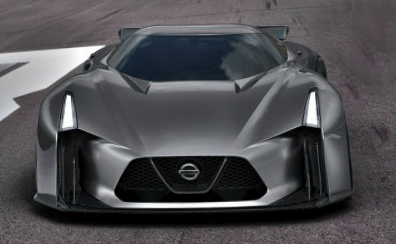 We are sure you may remember some rumors about the next generation of the Nissan R36 Gt-R as well. However, currently, the auto manufacturer has confirmed that the novelty is planned to be equipped with the hybrid powertrain. What about the future design of the new car, there are some ideas on that, the main themes and style are in the Concept 2020 Vision Gran Turismo then. According to the carmaker, the novelty will not appear until 2018. That means the Nissan’s new model comes on the market as the car of 2019 model year. Meanwhile, the auto manufacturer also added that selling of the current version of the GT-R is still going on. The car will get updates in its middle cycle for 2016 model year. The GT-R meets the competition with the Porsche 918 Spyder and McLaren P1 as well. Certainly, a more powerful and high performance version is available with the Gt-R Nismo. According to the carmaker, the new R36 GT-R will be offered in a coupe variant, equipped with an engine mounted in front. Inside, there are 2 + 2 seting level. Style is influenced by the Concept 2020 Vision Gran Turismo.